LimoStop is the best shuttle service in the entire Bay Area, providing the most comfortable and the best elite class ground transportation service to all of its clients. We value time as well as the satisfaction of our clients which is why our company is the most trusted name when it comes to luxury class transportation in the vehicle of your choice. Our price packages for different vehicles have been tailored and set in such a manner that you would prefer taking a safe, stress-free ride with us instead of taking a taxi. One of our most common tasks assigned to LimoStop by its clients is airport Transportation to or from the Sacramento International Airport. 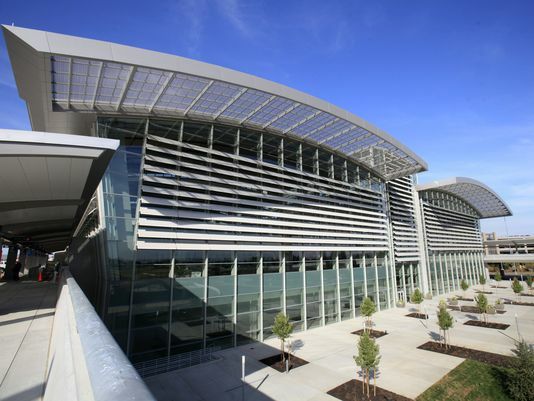 Sacramento International Airport is one of the largest major airports in California, providing the most comfortable pre-travel and travel experience to users. Its airport code is SMF. For years now, our chauffeurs have been shuttling businessmen, travelers and visiting dignitaries from Sacramento International Airport to the nearby areas and vice versa with great success. LimoStop has been licensed by California Public Utility, certifying us as one of the leading ground transportation service providers. We provide an exclusive non-stop private shuttle service to all our clients in the vehicle of their choice as per their requirements or desire. In our assignments, we have undertaken various rides in which we have successfully transported individuals as well as groups in our luxury vehicles from the Sacramento International Airport to the nearby areas such as Davis and Woodland. For a quick tour around the city as well, you can choose our shuttle service for a once in a lifetime experience. As for the departing dignitaries and tourists go, we offer a punctual shuttle service in a luxury vehicle of your choice that allows you to be ahead of schedule and easily board the flight you intend to. Our first-class SMF transportation service is completely exclusive and is one of a kind, unmatched in every aspect and detail. We have our very own collection of luxury class vehicles for shuttle service. We understand that it is not always possible to have your own car when you travel outside or to Sacramento which does not usually allow you to make a statement matching with your personality. With absolute professionalism and never ending efforts, we strive our best to offer you the choice to make your statement with luxury in transportation, right from the beginning to the very end. Our fleet of vehicles includes Vans shuttle buses for groups, multi seat limousines, mega stretch limousines, SUVs and luxury sedans – shiny and spotless limos, all clean in every corner. Our chauffeurs are available at your call with our 24/7 service. Their professional driving skills, proper formal dressing, and the etiquettes of our chauffeurs are also one of the reasons why we are preferred over other luxury ground transportation service providers. With impeccable service and an untainted record of quality service, LimoStop has and continues to make your SMF transportation better and unforgettable in the best way.